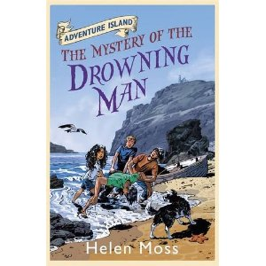 In the ten short articles below, Helen Moss reveals the inspiration behind the first ten Adventure Island mysteries and shares lots of fascinating facts related to each one. These pieces first featured as part of an on-line treasure hunt competition in 2012. 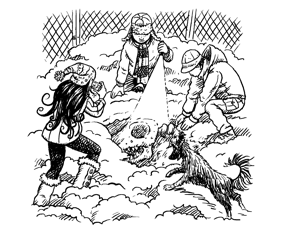 If you would like to try your hand at the treasure hunt you first need to go to the Special Investigations Team page and find the password to join the S.I.T. The competition is closed now, but you can still do it just for fun. 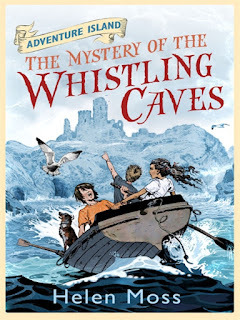 When I started planning the first Adventure Island book I soon had most of the ingredients for the story; two brothers, a girl and her dog, an island, a secret passage and a ruined castle on the cliffs. All I needed now was a baffling mystery to solve. I knew something had to be stolen from the castle. But I didn’t want it to be anything ordinary like a handbag or a mobile phone. It had to be something really exciting, something hugely valuable, something with a dramatic history . . . I did lots of research and learned some fascinating facts about robberies. For example, did you know that the most commonly stolen type of food is CHEESE! Well, that didn’t help much. 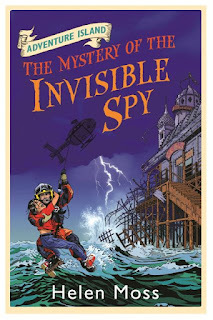 I could hardly start off the Adventure Island series with the mysterious disappearance of a box of Dairylea triangles, could I? 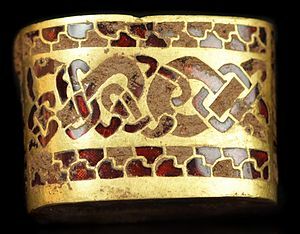 I was starting to think I’d never come up with the perfect robbery when I heard a radio programme about the Staffordshire Hoard and I knew that was what I’d been looking for! That metal detector must have been beeping like crazy! Why did the Saxons bury all those valuable objects together in that field? Were they the spoils of war or offerings to the gods? There are lots theories but the real reason remains a mystery. The Staffordshire hoard gave me the idea for the Carrickstowe hoard – the priceless Saxon treasure that is stolen in The Mystery of the Whistling Caves (If you look at the map of Castle Key, you’ll see that Carrickstowe is the name of the nearest town on the mainland). I scaled my hoard down from 3,5000 objects to just three - the King’s Sword, The Chieftan’s Shield and The Ceremonial Helmet. I used my imagination and the real Saxon objects I’ve seen in museums and in pictures to come up with the descriptions. (Do you recognize the helmet that Emily is holding in the picture? It’s based on the one that was found at another famous Saxon site, the Sutton Hoo ship burial). So, the metal detector found even more than five kilos of Saxon gold that day in a muddy field – it found a story for me, and the very first investigation for Scott, Jack, Emily and Drift! Do you know of any exciting finds that have been made in the area where you live? Or have you been lucky enough to find some treasure yourself? I have to let you in a secret. I’m not sure I really believe in ghosts. Maybe if I actually met a ghost I’d be convinced. But before I became a writer I used to be a scientist and, as you know, scientists like to have proof before they’ll believe in something. So you might think it’s a bit strange that the second Adventure Island book is all about a ghost! But the thing is, even though I’m not sure that ghosts really exist, I love ghost stories, especially ones about haunted buildings. Whenever I visit an old building I always want to know whether there are any resident ghosts; the stories tell you so much about the people who lived there in the past. Living in Cambridgeshire, I’m spoilt for choice. There are famous ghosts (the head of Oliver Cromwell is said to appear in one of the university colleges) sad ghosts, like the phantom bride of Madingley Hall, old ghosts, new ghosts and just plain weird ghosts. For example, some have reported the ghost of a large penguin waddling along Newmarket Road in Cambridge. Others say it’s the ghost of a ‘plague doctor’ from the Middle Ages. They wore long black cloaks and beak-like masks containing herbs that they thought would protect them against disease. I think I’d rather see the penguin, wouldn’t you? There’s even a midnight ghost in Cambridge. Two, in fact! 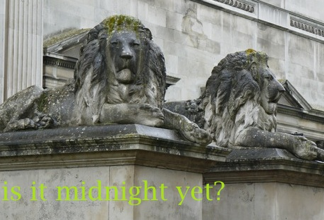 There’s a story that the huge stone lions that guard the steps of the Fitzwilliam Museum come alive on the stroke of midnight and drink from the gutters nearby. 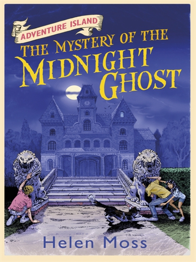 There are no ghost-lions in The Mystery of the Midnight Ghost, but if you look carefully at the book cover, you’ll see that those lions do make a special guest appearance! The ghost in The Mystery of the Midnight Ghost haunts an attic room in Pendragon Manor. The Manor was built in Tudor times, during the reign of Henry Eighth (three million super-brain points if you knew that’s between 1509 and 1547). But the story of the Midnight Ghost dates from a few years later. Legend has it that Sarah Goodwell, a housekeeper at the Manor, was hanged for witchcraft in 1586, and that she still haunts her old room. When a famous film star goes missing while filming at the Manor, Scott, Jack, Emily and Drift soon find themselves venturing into the haunted room after midnight to investigate. Do they see the ghost? You’ll have to read the book to find out, but let’s just say, that Jack has since admitted it was the scariest moment in his entire life! 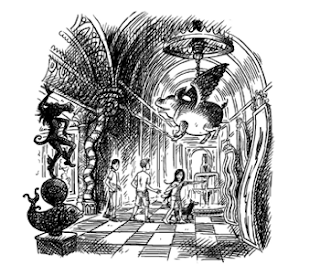 Spookily enough, although I can remember where the ideas for the other Adventure Island mysteries came from, I have no memory of thinking up the midnight ghost. I just woke up one morning and the idea of Sarah Goodwell was in my head. Could I have picked up a spirit message from a real ghost who wanted me to tell her story? Surely not! I don’t believe in ghosts, remember. How about you? Is there a legend about a haunted building near where you live? Or maybe you’ve even seen a ghost yourself? The Mystery of the Hidden Gold is all about . . . well, a mystery involving - you guessed it - some hidden gold! But this time, the mission for Scott, Jack, Emily and Drift is not to find out who’s stolen the treasure, but where it is in the first place. 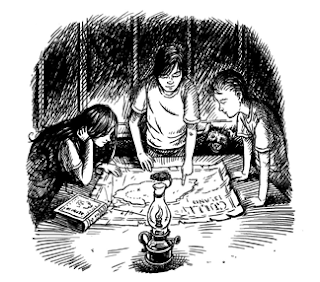 The friends find an old treasure map while they’re playing hide-and-seek in the lighthouse during a storm. But this is no ordinary treasure map with a big red X to mark the spot. That would be far too easy, wouldn’t it? The directions are all in code. And then, just when the friends are starting to crack that code, someone steals the map! I know what you’re thinking. An old treasure map, hidden gold . . . this story must be about pirates. Wrong! But what you might know is that there are loads of diamond and gold mines in South Africa. At the end of the wars, the Boers realized the British were going to capture their capital city, so they gathered up as much of the country’s gold as they could (A LOT! Remember those gold mines!) so that the British couldn’t get their hands on it. In all the confusion it seems a lot of the gold went missing. Legend has it that huge caches of gold still lie buried in the bush in South Africa, waiting to be found. Any hidden gold under here? I don’t know whether those stories are true, but that’s what gave me the idea of a British soldier finding some of the gold and bringing it home with him. I’ve always dreamed of finding an old journal or treasure map tucked away in a cellar or attic, but so far all I’ve only found odd socks, pieces of lego and spider’s webs! So it was really good fun to write about Jack, Scott, Emily and Drift finding their fabulous map. I could just imagine how excited they would be as they pored over it trying to work out the clues. The Mystery of the Hidden Gold was one of Drift’s favourite investigations too. He loved sniffing out the treasure map and then the gold itself. Whenever I take my dogs for a walk they spend most of their time digging. Are they looking for rabbits or are they searching for buried treasure just like Drift? They’ve not found any yet (they’ve not found any rabbits either!). But maybe one day! How about you? 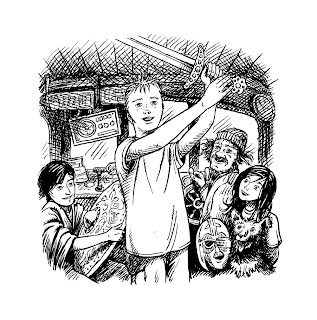 What would you do if you found a treasure map? The Mystery of the Missing Masterpiece is all about art. Or, rather it’s all about some very clever thieves trying to steal art! Paintings can be worth a lot of money. Guess how much was paid for the most expensive painting ever. Thousands of pounds? Hundred of thousands, even? Not even close! Last year, a painting called The Card Players by Paul Cezanne sold for over £150,000,000. That’s a lot of zeroes! In fact, it’s one hundred and fifty million pounds worth of zeroes! And there are other paintings – like the world-famous Mona Lisa –that would be even more expensive, but they’ve never been for sale – they are literally priceless. With all that money at stake it’s not surprising that over the years thieves have gone to great lengths to try to steal paintings. For example, in 2010, three masked robbers stormed into the Swedish National Museum with a machine gun. They had planted decoy bombs all over Stockholm to keep the police busy. They stole twenty million pounds worth of paintings and made their getaway by leaping into a waiting speedboat. I think those thieves must have been watching too many James Bond films! But their dramatic heist didn’t get them anywhere. The men were caught and the paintings were returned to the gallery. But some stolen paintings are never found. Five masterpieces taken from the Museum of Modern Art in Paris last year – worth over four hundred million pounds – are still missing (so if you see any suspicious looking Picasso paintings next time you’re at a car boot sale, you may want to let someone know!). This robbery was a bit more low-tech than the one in Sweden. The paintings were stolen by a lone thief who broke in to the gallery overnight, cut the canvases out of the frames and left with them bundled under his coat. Apparently, the alarm system was broken and none of the security guards saw anything! The Trago Gallery – a freaky place to be! 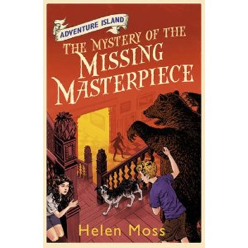 Reading about all these art thefts gave me the idea for The Mystery of the Missing Masterpiece. In this story Scott, Jack, Emily and Drift face a mystery that involves two very different paintings. 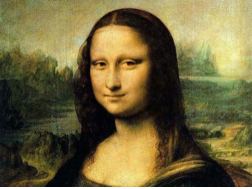 The first is by someone you might just have heard of; Leonardo da Vinci. He’s the artist who painted The Mona Lisa, of course (even the Mona Lisa was once stolen in real life and was missing for two years!). The second painting is by an artist called Digory Trago. But you definitely won’t have heard of him. How am I so sure? Because I made him up just for the book! Digory Trago’s style of painting is called surrealism. That means he paints strange combinations of things, like eggs that look like eyeballs and elephants with trombones growing from their trunks. Trago makes bizarre sculptures too. As you can see from the pictures, The Trago Gallery is quite a freaky place to be – especially on your own at night! Have you visited an art gallery lately? What kind of paintings do you like best? We’re going all mystical today! When the Romaldi Circus comes to Castle Key Scott, Jack, Emily and Drift soon make friends with Bella Romaldi, the youngest member of the trapeze act. Bella lets them into the secret of the magnificent Eye of Fire Ruby. It was given to Bella’s great-great-great-great grandfather by an Indian Maharajah, who promised that it would keep the family safe from harm. But now strange accidents keep happening at the circus. Has the ruby lost its protective power . . . or even worse, has that power turned into a terrible curse? I won’t spoil the story by telling you what happens next. 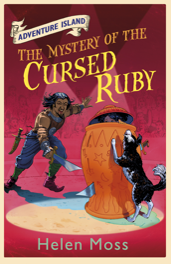 Instead I’ll share some of the amazing real-life legends about cursed jewels that gave me the idea for The Mystery of the Cursed Ruby. Many famous jewels were looted from temples in India and stories have built up about the terrible misfortunes that have befallen their owners. I’d better not go into too much detail about the gory things that are said to have happened, in case you’re the sensitive type, but if I tell you that the man who stole the Hope Diamond from an Indian statue was later killed by wild dogs in Russia, that should give you the general idea! The note also advised that whoever opened the box should throw the sapphire into the sea. Luckily the curator didn’t take that advice! 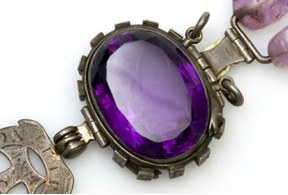 The Purple Sapphire is now on display at the Natural History Museum, where you can still go and see it. What do you think? Do you believe a jewel can really carry a curse? You might have guessed by now that Enid Blyton is one of my favourite authors. 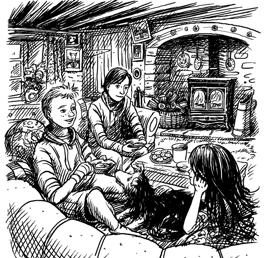 One of the things I love best about The Famous Five and The Five Find-outers and Dog is that, in between tracking down baddies, they’re always having fabulous picnics or midnight feasts, with loads of cakes and sandwiches and, of course, lashings of ginger beer. 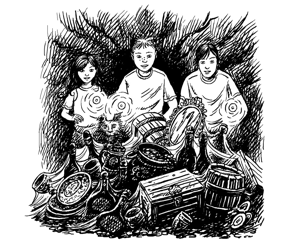 When I started the Adventure Island books I thought that Scott, Jack, Emily and Drift deserved plenty of yummy treats to keep them going as they pursue their investigations too. So I made sure that there was a café - Dotty’s Tea Rooms – in Castle Key, where they could have fish and chips or ice cream whenever they needed some sustenance. And the boys’ Aunt Kate just happens to be an excellent cook who specializes in delicious cakes and cookies. Anyone for another jam tart? But I hadn’t realized quite how much food I’d included until a friend pointed it out to me. Don’t those kids ever stop eating? she asked. Well, I replied, crime-fighting is very hungry work! The Mystery of the Vanishing Skeleton is a particularly baffling case. 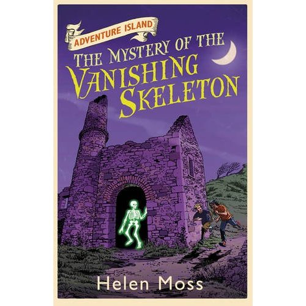 The friends have to work out the connection between a series of seemingly unrelated crimes and uncover the truth behind the sightings of a strange glowing skeleton. So it’s more important than ever that there are plenty of snacks to keep their strength up. But it was only when I looked back through the pages that I realized my friend might just have a point. It’s one long scoff-a-thon! Let us consider the evidence. Jack and Scott arrive at Stone Cottage for the holidays. Aunt Kate greets them with a batch of her famous gingerbread. All go off to Roshendra Farm to round up missing rabbits. Hot chocolate and cakes in the farmhouse kitchen. Jack has been injured in the line of duty. (Remember that ice factory. Something went wrong! Very wrong!). He makes the most of his recovery time, scoffing tubs of ‘medicinal’ raspberry ripple ice cream. Oh, and here comes Aunt Kate with some more cupcakes. Off to the moors for a lovely picnic . . .
Phew! I’m feeling a bit peckish now. Are you? Maybe it’s time for a snack. Hmmm, what would you order if you could have any meal or snack you wanted right this minute? Triceratops, T-Rex, Stegosaurus, Iguanadon . . . Which is your favourite dinosaur? I think it’s the fact that dinosaurs are such a mystery that makes them so fascinating. What did they look like? How did they move? Why did they die out? All we have are a few tantalizing clues - some fossilized bone heres, a trail of footprints there - to piece together their story. But however big a dino-fan I am, I couldn’t sneak any stegosauruses or T-Rexes into the Adventure Island series. 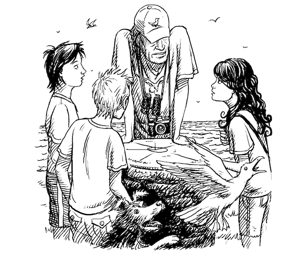 After all, these books are about modern-day kids investigating crimes. Scott, Jack, Emily and Drift don’t have a time machine to go back to the Jurassic Era or a magic portal to to a parallel world where dinosaurs still roam the earth (much to Jack’s disappointment!). 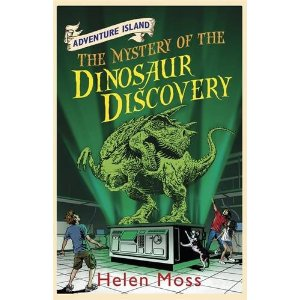 So, you might be wondering how come Book Seven is called The Mystery of the Dinosaur Discovery? Well, the secret is that it’s all about the discovery of a dinosaur fossil. And to make it extra exciting, it’s not just a bit of tooth or a toenail, it’s almost a complete skeleton and it looks like a whole new species that’s never been found before. It seems someone in Castle Key is out to prove the fossil is a hoax. 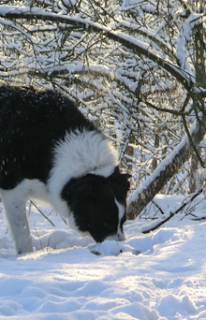 What has Drift found beneath the snow? It wouldn’t be the first time that the world has been caught out by a clever fossil hoax. In 1912 scientists presented a prehistoric human skull they had pieced together from fragments found at a gravel pit at Piltdown in Sussex. ‘Piltdown Man’ was claimed to be the evolutionary ‘missing link’ between apes and humans. It wasn’t until the 1950s that Piltdown Man was proved to be a forgery – made up of an old human skull, the lower jaw of an orangutan and the fossilized teeth of a chimp! Amazingly, the identity of the forger is still unknown. One of the suspects was a man called Sir Arthur Conan Doyle. That’s a name you might recognize. Five hundred super-brain points if you remembered that he was the creator of the original Sherlock Holmes books. And, weirdly enough, Conan Doyle was associated with another famous hoax story – although this time he was the one being tricked. Conan Doyle believed in fairies. He believed in them so much that when Elsie and Frances, two girls from Cottingley near Bradford, took photographs of fairies in their garden, he published them in a magazine, vouching that they were genuine. 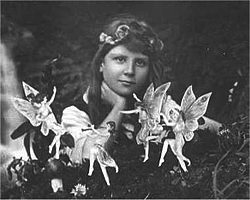 The Cottingley Fairies became nearly as famous as Piltdown Man. Years later, when she was an old lady, Elsie admitted that the pictures were faked by using cardboard cut-outs from a picture book. But Frances always maintained that they really had seen fairies and that at least some of the pictures were the real thing. Do you think that the fairies in this photograph are real? Remember, this was 1917. Although photography was quite widely used by this time, digital editing was still a long way in the future! PS. My favourite dinosaur is pachycephalosaurus, by the way! Today we’re going to start with a quiz. Who did you sit next to on your first ever day at school? What does the word 'polite' mean? Do you know the way from your bedroom to the kitchen? What did you have for dinner on January 31st 2009? Could you answer them all? I bet you had trouble with Question Six! If you’re thinking this is the strangest quiz ever, you’re right! But I had a reason for choosing such an odd bunch of questions. They show that MEMORY isn’t just about the facts we learn at school, but all the everyday stuff we know about ourselves (like what we are called, and what we had for dinner last night), how the world around us is organized (like how to find our way to the kitchen) and what words mean. In fact, there are many different types of memory that depend on different parts of our brains to work. It’s perfectly normal to forget things (like what we had for dinner three years ago – unless you are one of those people who eat the same meal every day, of course!) although we often remember important events for a very long time (like our first day at school). If we didn’t forget anything our brains would be clogged up with all kinds of details we don’t need. But imagine how frightening it would be not to be able to remember anything at all. That’s what happens to a character in The Mystery of the Drowning Man. Scott, Jack Emily and Drift rescue a man from the sea. He can’t remember who he is or how he came to be in the water. Figuring out the identity of the mystery man leads the friends into a whole new investigation. It turns out to be a very complicated story! In real life it’s actually very rare for people to suffer from this kind of total memory loss and not even know their name – even though it happens a lot in books and films. Also, amnesia (the scientific word for memory loss) would usually affect learning new memories and not just forgetting everything in your past – like Dory in Finding Nemo. Do you have any tests coming up at school? I spoke to Professor Gareth Gaskell, a leading memory scientist at the University of York and he passed on these top tips for helping to remember those important spellings, Spanish verbs or key dates in history. I know this one, go on, test me . . .
1. Research has shown that testing yourself on what you are learning is a great way of improving your memory. That’s because memory involves both getting the stuff into your head in the first place, and getting it out again when it’s needed. Think of your memory like a big filing cabinet. You have to lock the important information away in a drawer but also find the right drawer and open it next time you need that information. If you practice retrieving the information by testing yourself (or getting someone else to test you), it’s like unlocking the drawer a few times – so the key will turn smoothly. But if that drawer has never been opened before, the key can get stiff and jam in the lock! Not what you want to happen in the middle of a spelling test! 2. Make sure you get lots of sleep. When you learn something new, your brain stores it in a small part of the brain called the hippocampus. Sleep helps to spread your memories out into a bigger brain network, so that you can remember them better the next morning. One experiment has shown that even a six-minute nap can improve your memory (but we don't think you should try this in your classroom!). 3. When you're taking a break from studying, it’s good idea to get some exercise! A recent study showed that when you exercise regularly, the hippocampus gets just a little bit bigger, meaning that you can remember more of what you learned. So next time you’re out playing football or hockey or going for a swim or a bike ride, remember that as well as having fun, you’re boosting your memory power! When a team comes to Castle Key to dive to the wreck of the Mermaid – a smugglers’ ship that sank in Pirate Cove in 1779 - Scott and Emily jump at the chance to explore the wreck with them (Jack can’t scuba dive – long story, involves an imaginary shark! – so he looks after Drift). And things get even more exciting when Scott spots the legendary Pendragon compass. Somehow, by the time the others go back to look, the compass – which holds the clues to the location of the smugglers’ hidden treasure – has disappeared. Was Scott seeing things? Or has someone stolen the compass? 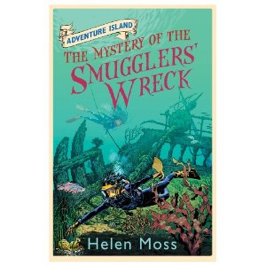 You’ll have to read The Mystery of the Smugglers Wreck to find out! Although Castle Key is a fictional island, it is located somewhere off the coast of Cornwall. Before I started writing this book I knew that smuggling was big business in Cornwall in the eighteenth century but I didn’t know much about the details - which gave me the perfect excuse to do some background research. So there I was, having a lovely time finding out about Cornish smuggling. There was a great deal of poverty in those days. Secretly bringing in brandy, tea, tobacco, silk and other luxury goods from France was one of the few ways people could make some extra money. I was lost in all the incredible stories about the famous smugglers of the time . . . people with fabulous names like Cruel Copinger and Black Joan…when suddenly I leaped out of my chair. Why did the name Carter make me jump out of my chair? Because Carter is Scott and Jack’s surname! You might think I had it all planned out, that the boys would be related to one of the old smuggling families, but I have to admit that it was a happy accident. But, of course, as soon as I saw that name, I knew I had to have Jack trace their family tree back (or sneakily get someone to do it for him!) and find out they were Smuggling Carters! That’s part of the fun of writing. However carefully you plan a book, there are always little details that pop up and weave new threads into the plot. It’s almost as if the story takes on a life of its own! Maybe you could write a story about someone who finds out about an unusual ancestor in their family tree. 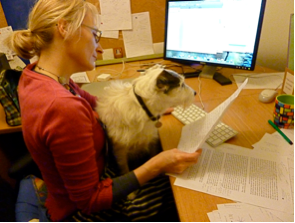 Or perhaps you have one yourself you could write about? At last! Emily has been dying to uncover an enemy spy and finally it seems that she has her chance. The strange man with the binoculars is definitely spying on something and she’s pretty sure it’s not the larks nesting on the sand dunes. But, as always in Castle Key, nothing is quite as it seems. There are some big surprises for Scott, Jack, Emily and Drift in The Mystery of the Invisible Spy. For Emily one of the most exciting parts about this investigation is that she gets to use some secret codes. Emily is an expert on cryptography – that is, the use of codes and ciphers (ten million super-brain points if you know the difference between a code and a cipher. A cipher is where you replace the original message letter by letter, whereas a code is where you replace word by word. People often use the word code to mean both, though). Codes have been used to communicate secret messages throughout history. One of the most famous examples led to the death of Mary Queen of Scots. 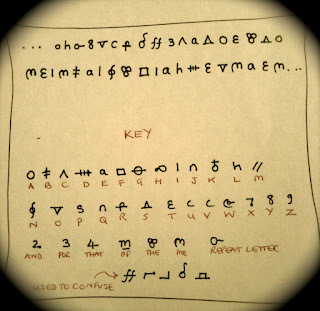 – can you decipher it using the key? If you remember your Tudor history you’ll know that Elizabeth I kept her cousin Mary Queen of Scots under house arrest for many years. Mary’s supporters believed she should rightfully be on the throne of England, and they sent coded letters to her, discussing a plot to overthrow Elizabeth. But the letters were intercepted by Elizabeth’s spymaster - with the help of a carefully placed double agent or two. The code was soon cracked, the plot was discovered, and Mary was beheaded. Mary’s code was quite easy to crack (even if you didn’t have the key on the same page!) because was each letter was replaced by a symbol. The codebreakers could look at the text and see which symbol came up the most often – they knew that almost certainly represented the letter E, which is the most frequently used in English. With a bit of effort you can soon crack the whole code using this kind of ‘frequency analysis.’ Elizabeth’s spies certainly did. – can you spot the letter I’ve missed? One way round this problem is to use steganography rather than cryptography. Steganography means concealed writing. You conceal your secret message within something perfectly innocent-looking – like a shopping list. Then, if it falls into enemy hands, they have no reason to be suspicious. If Mary had disguised her messages as orders to her dressmaker for some new gloves, for example, she might not have met her terrible fate. So, how do you conceal a message? The Ancient Greeks apparently tattooed messages onto the shaved heads of messengers, who then let their hair grow back to conceal the words! Or you can use invisible ink to write between the lines of a ‘cover text’ (if you’ve ever heard the phrase ‘reading between the lines’ you now know where it comes from). But these days, steganography is more often used to send coded messages over computer networks, where information can easily be hidden large data files, such as ordinary looking digital photographs. Do you know of any other kinds of code? How about devising your own code and sending some messages to your friends?